How to Participate: The first task here is to pick a charity. 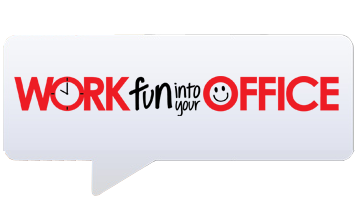 Send an office-wide email asking for suggestions, then vote on a winner. Once the charity is selected, it’s time to choose baked goods! Some employees will have specialty, go-to items that they’d like to contribute. Others might need inspiration. Don’t be afraid to choose savory baked goods, like meat pies or cheese buns. They break up the variety and will be a great option for those without a sweet tooth. If two people want to bring in the same baked good -- brownies, for example -- ask them to jazz it up for variety. One person might bring a mint brownie, while another could bring in a peanut butter variation. One day before the bake sale, send out a reminder email and ask people to please bring change with them on the day. 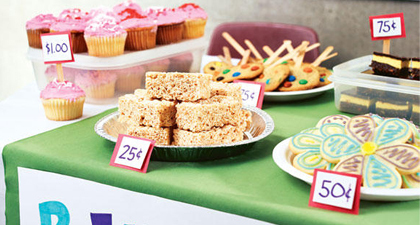 On bake sale day, price options affordably but with your charity in mind. Place an empty tissue box on each baked good’s table and conduct your sale on the honour system. That way, people can serve themselves and no one needs to take time away from work to man the sale. IIf there are any leftovers, send them home with employees. Deposit the day’s earnings into the company account and cut a cheque for the charity of choice!